Ever since it was capital of the United States, Philadelphia has always been the engine of the cultural, economic and political exchange of the country with the rest of the world. Its history of tolerance and openness to immigration quickly turned it into a metropolis in whose streets bicultural, binational and bilingual generations have always grown. Benjamin Franklin was one of those illustrious putative sons of Philadelphia. The man of letters, the politician, the inventor, the philosopher and scientist, was also a man of languages - he spoke at least five -, which allowed him for a long time to be the voice of the city before Europe. His capacity for interlocution with different societies and nations shaped the history of Philadelphia as an interlocutory city of the world. This polyglot and multicultural character of the city is maintained. Today, the children of those who immigrated during the past century are the ones who define the local voice before the world. Those who grew up in the midst of the millennia transition, in hyper connected times where the global is lived locally and the local expands beyond the physical borders, are the best exponents of what the 21st century Philadelphia is. Bilingual Millennials - Bilennials! - Children of immigrants with dual nationalities able to speak two or more languages and whose economic, political and cultural potential represents Philadelphia’s best opportunity to remain connected to the world. “Bilingual Millennials” are a common phenomenon in the city. According to Census Bureau, one out of seven people in Philadelphia speaks a language other than English. For the last 20 years, Philadelphia has been filled with 146,180 Latinos, 32,089 Chinese, 14,821 Vietnamese, 12,616 Russians, 8,886 Arabic, 8,842 French, 6,217 Italian, and 4,453 Polish persons, creating different burroughs, such as Chinatown, Germantown, El Bloque de Oro, The Italian Market and The Russian Northeast. It is not the city that clustered ethnic groups in towns (through urbanization or through gentrification), rather they did it themselves, seeking cultural connection, acceptance and understanding of fellow-immigrants. Among all 514,778 Millennials who live in Philadelphia, 13 percent are Latinos, eight percent are Asian, and six percent are Europeans. Demographers usually define Millennials as being born between the 1980s and 1990s, and this is the demographic group that represents the next generation of residents who will live, work, play, and, one day, lead The City of Philadelphia. The growth of Philly’s Millennial population continues to climb, making them the largest generational group in the city. According to According to Pew Charitable Trusts, an increase in the number of Millennials, along with an influx of immigrants, reversed a 50-year population decline for the city. Millennials have surpassed Baby Boomers as the nation’s largest living generation, according to population estimates released this month by the U.S. Census Bureau. Millennials, whom we define as those ages 18-34 in 2015, now number 75.4 million, surpassing the 74.9 million Baby Boomers (ages 51-69), and Generation X (ages 35-50 in 2015) is projected to pass the Boomers in population by 2028. Millennials drive the economy – "Bilennials" turn it global! Besides cultural diversity, Millennials bring economic growth by starting their own small businesses in their towns and neighborhoods, which creates jobs and provides services. Absorbing two cultures at a time, Bilingual Millennials play an important part in connecting foreign immigrants and Americans. They are not only helping to run businesses for their non-English speaking families, but they are also becoming integral in international exports, foreign relations, and intercultural relations between The United States and their homelands. In 2015, the highest paid race/ethnicity of workers in Pennsylvania were Asians, earning an average salary of $60,363 annually. They got paid 1.21 times more than the next closest race/ethnicity group (these were Whites with an average salary of $49,690 annually, followed by Native Americans with an average salary of $34,984 annually). Quite often Bilingual Millennials work as interpreters at the hospitals or courts helping those who don’t speak English. According to the Bureau of Labor Statistics Report 290 interpreters were registered working in Philadelphia on May 2016, when the demand was even higher. 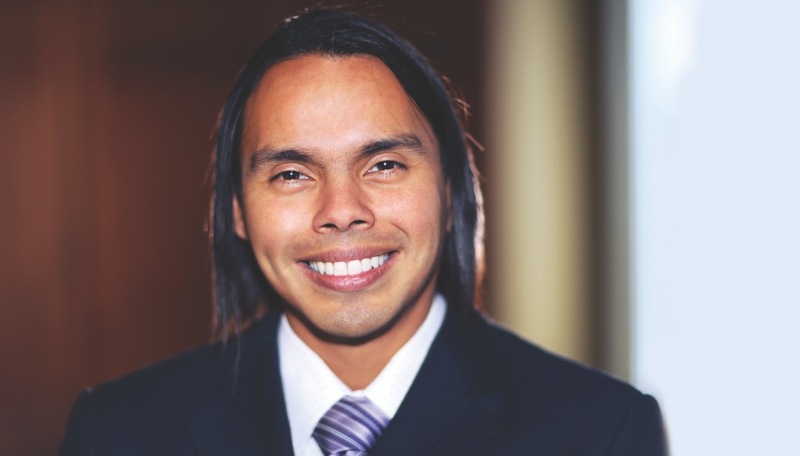 Padra was earning his Masters in Public Administration and Law in St. Paul, Minnesota when he was hired by Clarivate Analytics to work as a contract administrator and translator. “I speak Spanish 25 percent of my time at work, translating documentation and writing emails. I facilitate contracting between my customers in Latin America and the U.S. We sell subscriptions to scientific databases to universities and governmental agencies in Latin America. To be honest, I was really surprised to get this position, knowing that Philadelphia has a large Hispanic community, but the company hired me and paid for my relocation. There is certainly a high demand in bilingual skills,” explains Padra. According to the Bureau of Labor Statistics, interpreters and translators are the fastest growing occupations in the U.S. A rise is expected in these occupations by least 25 percent to fulfill the demands between 2016 and 2024. “I think the city administration needs to do a better job using their bilingual labor resources. I believe the city could further and foster the growth of governmental and non-government organizations dedicated to developing networks for Latinos, organizing job fairs, providing language training for non-English speakers, and specialized language training for Latinos who need to advance their bilingual language techniques to be qualified for a job that they have a natural skill for,” said Padra. Padra is not affiliated with any Latino organization in Philadelphia, even though he is planning to join La Casa de Venezuela, the organization provides a haven for Venezuelan immigrants and refugees. “Due to the current insurgency and turmoil in Venezuela, there are a lot of people coming here as refugees who need help and support. Besides that, there are many people in [the] Latino community [who] need guidance and some type of initiative to help them to learn how to deal with their bank accounts, credit cards, leases, etcetera. It is always great to volunteer [at La Casa de Venezuela] and being able to receive help as well,” said Padra. “Bilingual Millennials are a vital asset and the city administration should be wisely creating more jobs for them and other opportunities to sustain themselves. If they make a good living, then they can contribute to the city’s economy as well,” advises Padra. According to deputy mayor for Public Engagement, Dr. Nina Ahmad, millennials will be influencing and leading our city for the next 30 to 40 years, “including this generation in our work to create a more efficient and effective government for every neighborhood is integral to Mayor Jim Kenney’s vision.” With that in mind, the Mayor’s Office of Public Engagement has recruited members for the Millennial Advisory Committee or MAC for 2017. Among them are technologists, entrepreneurs, environmentalists, policy-makers, community organizers, activists, and public and private sector influencers from all fields who live in Philadelphia and are between the ages of 23 and 34 years old. “This committee currently is working alongside the mayor’s office to develop city policy to create more engagement within the large millennial community in Philadelphia with the purpose of attracting and maintaining emerging talent to the government,” Ahmad continued. For many millennials, growing up in a bilingual environment has been a big challenge. The cultural and ethical norms are different and often controversial. For kids who are growing up here in America, it is always confusing to apply and follow the appropriate norms, constantly facing the question: ethnic and social norms of their homeland, or the norms of the American society? The instances of Spanglish, Runglish, and Chinglish phenomena have spread all over the city, a byproduct of bilingual influence. Demand is the initial factor that drives the economy to grow. Desires for certain imported products, food, and entertainment that these immigrants have naturally leads to new business developments. For example, the large concentration of Latinos in Philadelphia led to the creation of AL DÍA News Media and the channel Telemundo. This is similar to the more recent establishment of publications such as “Zdorov’e” magazine, and newspapers “Posrednik”, “Novosti Philadelphia”, “Russkaya Reklama”, which have become the leading media platforms for Russian speakers in the Greater Philadelphia area. “With Bilingual Millennials, and not only Millennials, but also immigrants of all ages, we have a constant demand for certain products and services for different age groups, which is a green light for foreign investors and businesses developers. To manage and operate these new businesses, the help of Bilingual Millennials is essential,” said Comcast Senior Analyst Rohit Nair. “Another factor that boosts the economy is the influx of the immigrant workforce: professionals and businessmen from Latin America, Asia, and Europe who are ready to provide high quality services, willing to share their experiences. That makes this type of partnership global,” continued Rohit Nair. While Philadelphia neighborhoods need Bilingual Millennials to connect and unite people in the city due to emerging globalization, the city’s goal is to provide jobs in local communities and to reduce poverty, which is one of the main challenges and priorities for Philadelphia to overcome. According to the Census Bureau, 25.8 percent of the population in Philadelphia (1.53 million people) live below the poverty line, which is significantly higher than the national average of 14.7 percent. The Millennial Advisory Committee is currently working alongside the Mayor’s Office for Diversity and Inclusion on policies and initiatives that will bring change for millennials of different ethnic backgrounds, particularly employment opportunities. At the beginning of his term, Mayor Kenney had committed to building a workforce that reflects the diversity of the city and established this Office for Diversity and Inclusion. Last year, the Office released the 2016 Workforce Profile Report, the first ever report of its kind to examine the gender and racial diversity of The City of Philadelphia’s exempt workforce. The Office of Diversity and Inclusion works closely with the department of Human Resources and Talent to assess the hiring process, and recommends changes to increase the recruitment of diverse talent. Furthermore, The City of Philadelphia is currently enacting “Language Access Philly,” the program that will support non-English speakers or persons that speak multiple languages. The top five languages in Philadelphia are Spanish, Mandarin, Vietnamese, Russian and Khmer. The point of Language Access Philly is that no person should be denied services or employment based on the language they speak. The Office of Immigrant Affairs is leading this effort, working with all city agencies in developing Language Access Philly plans. OIA is collecting data from departments to assess the volume and type of service requests from limited English proficient persons in the city, so that recruitment and hiring of new employees meet the language needs of residents. “This will be very helpful in staffing and recruitment for our public safety departments (police, fire, etc. ), our Commerce Department, and agencies like 311, and others. Also, the Department of Human Resources is working closely with Esperanza College to share opportunities on working with the city and provide assistance in applying for city jobs. Most of Esperanza’s students are bilingual and we’re hoping to create a pipeline there,” Ajeenah Amir concluded. Philadelphia’s diverse Bilingual Millennial population is growing rapidly. Due to the city’s previous lackluster policies and job placement of Bilingual Millennials, if the public and private sector doesn’t effectively find a way to give sufficient job placement to millennials, best case scenario would be a massive explosion of multicultural entrepreneurialism and small businesses starting; worst case scenario would be Bilingual Millennials leaving the city of Philadelphia. Lena Grigoryan, is a 26-year-old Russian native who came to Philadelphia with her family when she was thirteen. “It was definitely a challenge growing up here in a completely new society to me, but I speak English fluently now. I think what helped me was a big Russian community here in Northeast Philadelphia that always reminded me home,” said Grigoryan. Temple professor of Russian Language and Literature Olia Prokopenko explains the phenomena: “Similar to Spanglish, Runglish appeared within the new Russian generation that was either born in the United States or arrived to the United States as children. This generation acquired two identities: one that is of a Russian speaker and, another one, of an American. In family environment, they retain the family language, often, so-called "baby talk" or "kitchen Russian" for everyday occasions. The second language, i.e. English, is used outside the family and in formal situations. As bilinguals discuss the formal situations in a family and family-like environment, as a result of linguistic contamination they often start expressing themselves in ‘Runglish’”, said Prokopenko. Besides working among the Russian community, Lena Grigoryan is also involved in, Terra Incognita, a Russian theater production company. “We work on different plays with our outstanding and very talented director Edward Jefarsky, who came here from Moscow, Russia. One of our most recent performances ‘The Gift of The Magi’ was purely in Russian and was extremely successful, with a total audience of two hundred and fifty people here in Northeast Philadelphia,” Grigoryan said. “I think if you are a Bilingual Millennial there are plenty of opportunities for you to express yourself or opportunities for being able to find work. There are a lot of jobs in Russian businesses that are being offered in Northeast Philadelphia, and speaking English and Russian is a must. It is harder to find a job if you are an immigrant and don’t speak English, but it is still possible. I would say Bilingual Millennials are very important, because they help those older generation who live here who are not that proficient in English,” Grigoryan reflected. Of the many local “Billennial” business owners in Philadelphia, Xu Lin, from Chinatown does it all: invests, manages, operates his business, creates job opportunities for others, and pays taxes, trying his best and giving his all to contribute to the city’s economy. 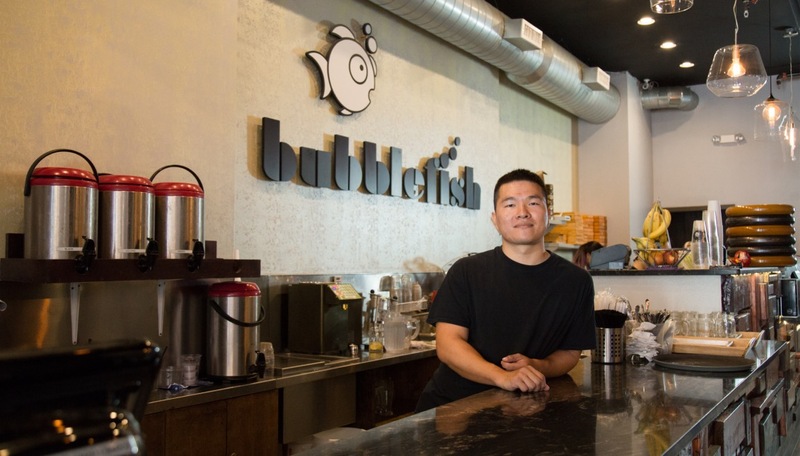 Xu Lin, at 32-years-old, co-owns Bubblefish restaurant with his brother Xiang Lin and sister Ping Lin. The place opened only a year ago, but became incredibly popular due to their outstanding tea selection and great lunch specials. “Nearly 30 percent of my customers are Asian. Therefore, we need multilingual servers who speak not only English, but also Chinese, Japanese, and Taiwanese. We have four servers here who can take orders in these languages,” said Lin. “I lived in Chinatown from the very beginning. I didn’t speak English, and as a result, I was a victim of racism at school almost every day- not only from school kids, but also from the teachers as well. It was a really rough time for me, but it was also culturally rewarding. Despite everything I have gone through, I have exposed myself to two worlds of wisdom, two cultures, and two languages. It has made me a brighter person. All that I knew before, was my own language, identity, and ethnicity,” said Lin. The problem of racism prompted Lin to fight the oppression and become a community leader. After his high-school graduation, Lin studied History and Psychology at Temple and worked as a community leader and organizer at Asian American United, teaching youth leadership and social justice. “Racism is one of the reasons why job opportunities are limited for the Chinese and Asian-American population. We are forced to create our own [opportunities], which is ultimately what happened to me and my sister, and how we ended up opening a restaurant,” said Lin. “For millennials with a college degree there are more options, but racism still exists. I would say Chinese [people] are underserved in the city administration and there should be an equal representation and opportunities for Asians, otherwise how would they know how to effectively manage the city’s communities?” pondered Lin. Besides Asian American United, Xu Lin has also been working with Philadelphia Chinatown Development Corporation, which focuses on providing affordable housing for low-income Chinese families. “There is a need in the community, because there are people who can’t afford renting apartments, or buying health insurance, and those [people] normally don’t speak English, and therefore, [they] have difficulties finding a job. Asian American United is trying to do the best that they can to fulfill the need in the community, but we also need some help from The City of Philadelphia’s administration to fund some of the initiatives we have. We can’t do it on our own relying solely on the help of volunteers,” Lin explained.